University of Iowa team pinpoints where doubt arises in human mind. Everyone knows the adage: “If something sounds too good to be true, then it probably is.” So, why, then, do some people fall for scams and why are older folks especially prone to being duped? An answer, it seems, is because a specific area of the brain has deteriorated or is damaged, according to researchers at the University of Iowa. By examining patients with various forms of brain damage, the researchers report they’ve pinpointed the precise location in the human brain, called the ventromedial prefrontal cortex, that controls belief and doubt, and which explains why some of us are more gullible than others. “The current study provides the first direct evidence beyond anecdotal reports that damage to the vmPFC (ventromedial prefrontal cortex) increases credulity. Indeed, this specific deficit may explain why highly intelligent vmPFC patients can fall victim to seemingly obvious fraud schemes,” the researchers wrote in the paper published in a special issue of the journal Frontiers in Neuroscience. A study conducted for the National Institute of Justice in 2009 concluded that nearly 12 percent of Americans 60 and older had been exploited financially by a family member or a stranger. And, a report last year by insurer MetLife Inc. estimated the annual loss by victims of elder financial abuse at $2.9 billion. Patients with damage to the ventromedial prefrontal cortex were roughly twice as likely to believe a given ad, even when given disclaimer information pointing out it was misleading. And, they were more likely to buy the item, regardless of whether misleading information had been corrected. Photo by Bill Adams. The authors point out their research can explain why the elderly are vulnerable. The ventromedial prefrontal cortex is an oval-shaped lobe about the size of a softball lodged in the front of the human head, right above the eyes. It’s part of a larger area known to scientists since the extraordinary case of Phineas Gage that controls a range of emotions and behaviors, from impulsivity to poor planning. But brain scientists have struggled to identify which regions of the prefrontal cortex govern specific emotions and behaviors, including the cognitive seesaw between belief and doubt. The UI team drew from its Neurological Patient Registry, which was established in 1982 and has more than 500 active members with various forms of damage to one or more regions in the brain. From that pool, the researchers chose 18 patients with damage to the ventromedial prefrontal cortex and 21 patients with damage outside the prefrontal cortex. Those patients, along with people with no brain damage, were shown advertisements mimicking ones flagged as misleading by the Federal Trade Commission to test how much they believed or doubted the ads. 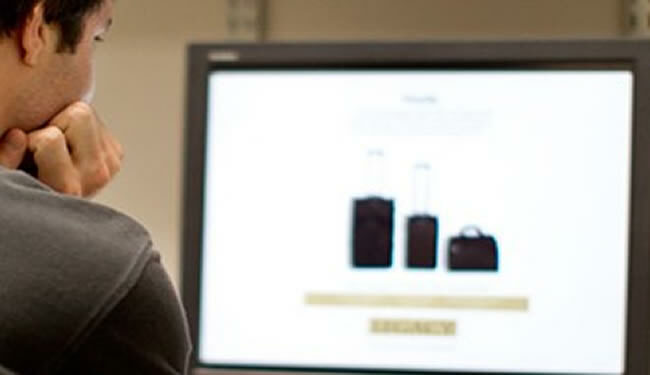 The deception in the ads was subtle; for example, an ad for “Legacy Luggage” that trumpets the gear as “American Quality” turned on the consumer’s ability to distinguish whether the luggage was manufactured in the United States versus inspected in the country. Each participant was asked to gauge how much he or she believed the deceptive ad and how likely he or she would buy the item if it were available. The researchers found that the patients with damage to the ventromedial prefrontal cortex were roughly twice as likely to believe a given ad, even when given disclaimer information pointing out it was misleading. And, they were more likely to buy the item, regardless of whether misleading information had been corrected. “Behaviorally, they fail the test to the greatest extent,” says Natalie Denburg, assistant professor in neurology who devised the ad tests. “They believe the ads the most, and they demonstrate the highest purchase intention. Taken together, it makes them the most vulnerable to being deceived.” She added the sample size is small and further studies are warranted. Apart from being damaged, the ventromedial prefrontal cortex begins to deteriorate as people reach age 60 and older, although the onset and the pace of deterioration varies, says Daniel Tranel, neurology and psychology professor at the UI and corresponding author on the paper. He thinks the finding will enable doctors, caregivers, and relatives to be more understanding of decision making by the elderly. The finding corroborates an idea studied by the paper’s first author, Erik Asp, who wondered why damage to the prefrontal cortex would impair the ability to doubt but not the initial belief as well. Asp created a model, which he called the False Tagging Theory, to separate the two notions and confirm that doubt is housed in the prefrontal cortex. “This study is strong empirical evidence suggesting that the False Tagging Theory is correct,” says Asp, who earned his doctorate in neuroscience from the UI in May and is now at the University of Chicago. Kenneth Manzel, Bryan Koestner, and Catherine Cole from the UI are contributing authors on the paper. The National Institute on Aging and the National Institute of Neurological Disorders and Stroke funded the research.